One of my favourite things is finding interesting and unusual places to stay. For me, a good guesthouse can make a trip, it can be the reason to visit in the first place– a little home from home even if just for a night. I love the little touches and effort that people put into making their perfect space – the character they create that lets you try on a different life. Just as I hate to “make do” with a lackluster restaurant, I also hate to “make do” with accommodation that’s in no way special. If you’ve travelled that far to get there, I feel you may as well try to eat and live well too. And that doesn’t equate with expense. I’m not looking for the heights of luxury. A dorm bed in an intriguing hostel is a lot more special than a generic 5-star suite. It’s about character, interest and style. So I tend to go the extra hurdle and search. I like to seek out special places – the kind of places you want to to share and return to again and again. 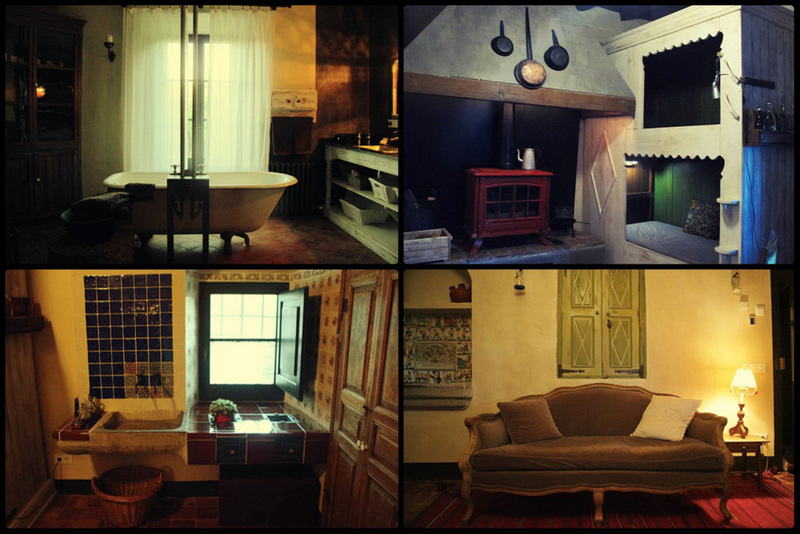 So I’ve decided to dedicate a series on this blog to the special places we find to stay. We’ve profiled a few before and we’ll add more as we go along. The view above isn’t the only thing that made Village Above the Clouds special. 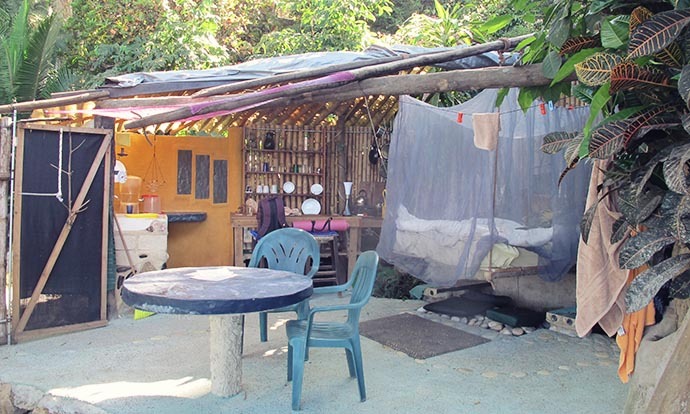 It is also an eco-resort where you can volunteer at a local school and hang out in the little village. We visited there during a road trip around Bali. Read the full review. We went to Casa Isabel during our time in San Pancho for a little holiday in Yelapa. 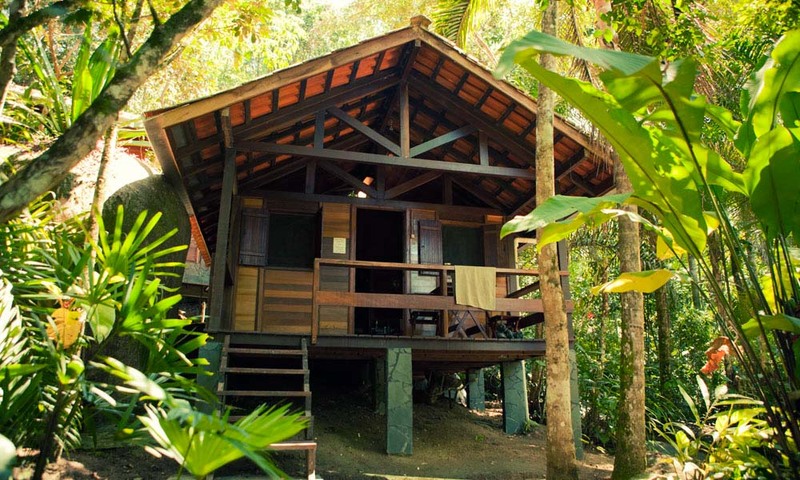 It’s another eco-resort and has been handmade and designed by the lovely couple who own it. We loved the hanging beds and al fresco sleeping. Read the full review. Izhcayluma is another place that’s worth a visit just for the view, but it’s also a great hostel and spa. And an affordable one too. Read the full review. We stayed at Mas Can Batlle when we went in a hot air balloon, which made it an extra special day. But I’d say this guesthouse is worth a visit by its own accord. Read the full review. 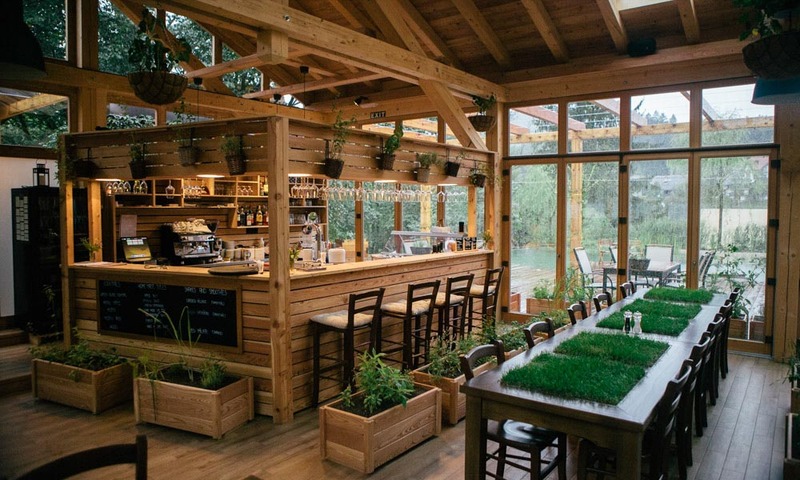 The picture of the restaurant tables with grass on top sold it to me alone, but this glamping resort has so many wonderful touches, including tree houses, a sauna and a natural pool. Read the full review. This budget hostel and yoga retreat in Trindade, Brazil was one of the first favourite finds of our trip in South America. The owners made all the cabins from scratch and go out of their way to make everyone welcome. It’s also very close to one of our favourite Brazillian beaches. Read the full review. 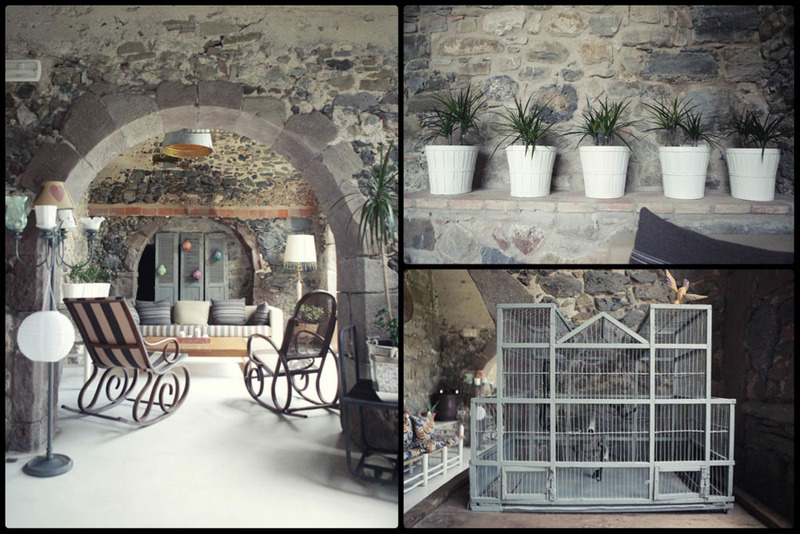 We also wrote a post a while back on some of the most amazing places we’ve ever stayed. I’ll add a more full review of these soon. And do let us know if you have any recommendations too. Thank you! I now have a new bucket list to complete! I think we need to stay at every one of these lovely, and unique, finds! Thanks for sharing as a list and have a very Happy New Year! I haven’t done the eco-resort thing, but it, along with glamping are on my accommodation bucket list. Glad I have some spots to sniff out if we head to any of these destinations. Oh yes, that really was a great find. Do go if you can! 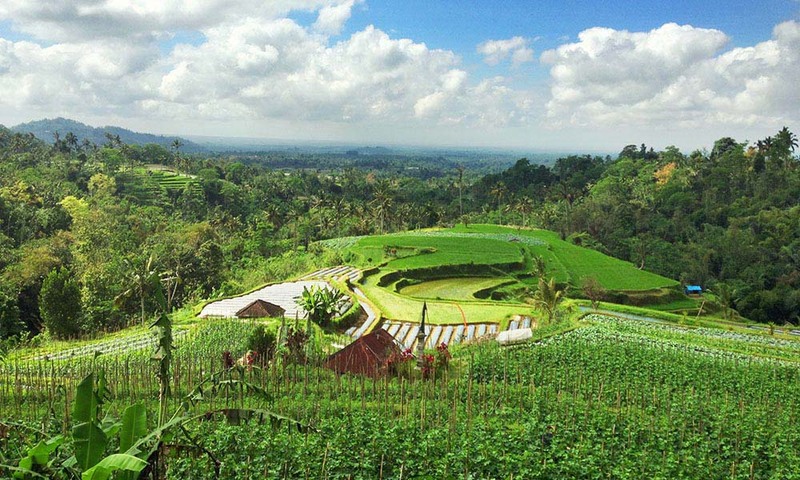 Wow to the view from the spot in Bali! We’re planning to be there later this year, so will definitely look that place up! 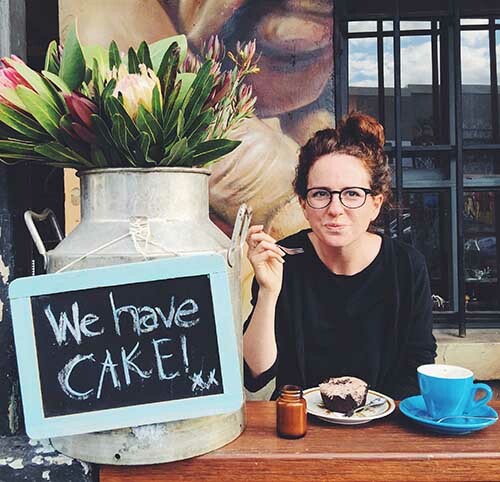 I couldn’t agree with you more – it really is the small touches that make a place special. Oh yes, Village Above the Clouds was amazing! Thanks for the tips, especially the one in Lake Bled is on my list already. Looks amazing! There is also a lovely one in Northern Ecuador, near Isla de la Plata. Just cannot remember the name anymore. All the little paths to the single bungalows are surrounded by flowers, so basically the whole place is one huge garden. Some of the furniture was by a famous, Finnish architect, called Tapiovaara. It was already a few years ago I visited this place, it might have changed now. At least then, it was lovely! We are heading to Ecuador in a few months so hopefully will get chance to try out the place above! If you fancy posting any more tips for South America we’d love to hear them. Nice! 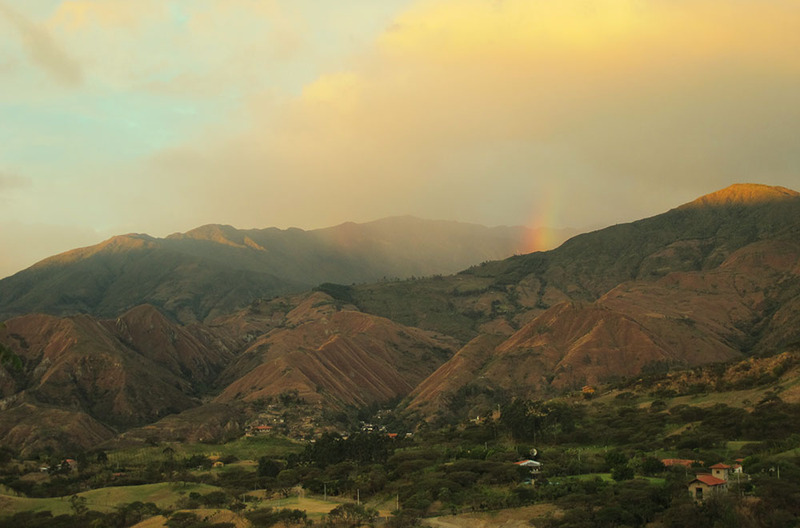 Vilcabamba is a pretty unique place. Hope you like it! This is my first time here visiting your wonderful ‘blog’ which sounds way off the mark for something that is an encyclopaedia of knowledge. We haven’t been to any of these places yet, but one-day we will. Anyway, just wanted to say hi… back to reading now. bookmarking this article! love these kinds of places! Thanks Rebecca. As you can see, we love them too!